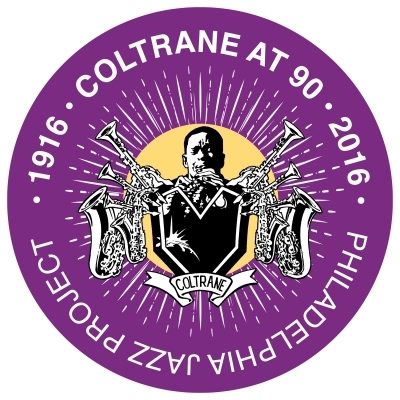 Philadelphia Jazz Project in collaboration with Temple University Libraries, WRTI, PhillyCAM, Jazz Near You and other partners will celebrate John Coltrane's 90th Birthday with 9 days of FREE events. These events will take place between September 17th to 25th, 2016. The festivities will include screenings, media presentations, concerts, exhibitions and other special events. ▪ An Afro-Cuban influenced interpretation of Coltrane's "Kulu Se Mama"
Participating venues will include: East Park Reservoir/Fairmount Park, New Barber’s Hall, Charles L. Blockson Afro-American Collection, Free Library of Phila - Parkway Central Branch, Conwell Dance Theater & The Bell Tower - Temple University, Ritz Theater, Church of the Advocate, The Fire, The Piazza at Schmidt’s Commons, and more. Participating artists will include: Azar Lawrence, Terry Lawson, Douglas Ewart, WorldTown Sound System, Alan Nelson, James Brandon Lewis, Umar Raheem, Chris Stevens, Korey Riker, Josh Lee, Tim Price, Michael Pedicin, Suzanne Burgess, Paul Jost, Sam Reed, Pete Chavez, Jeff Johnson, Lucky Thompson, Karen Smith, Chris Oatts, Lauren Lark Jones, Michael Andrews, Victor North, Pete Chavez, Nasir Dickerson and many more. FOR OTHER COLTRANE RELATED ACTIVITIES AROUND THE CITY CHECK OUT THE FULL EVENT LISTING ON THE PJP WEBSITE! Philadelphia Jazz Project (PJP) works to support, promote, archive and celebrate the diverse elements within the Philadelphia jazz community, with the larger goal of connecting to the global community. Philadelphia Jazz Project is a sponsored project of the Culture Trust - Greater Philadelphia, with funding provided by The Wyncote Foundation.